This week I'd like to share one of my all-time favourite books. It's not new or Modern, but it's bloody good and that's all that counts. The Quilts of Gee's Bend: Masterpieces from a Lost Place, was published in 2002 in association with an exhibition at the Museum of Fine Arts in Houston. It profiles the women of Gee's Bend - a small, remote community in Alabama who create incredible quilt masterpieces, carrying forward the fine old tradition of making textiles for the home and family. The designs reference American quilt traditions, however these pieces differ in that they are composed boldly and improvisationally, in geometries that transform recycled work, clothes, dresses, feed sacks and fabric remnants. The geographical isolation of these women enforces a freedom and originality on them that leads to extraordinary combinations of colour and composition. I wonder if this kind of spontaneous originality is even still possible now that we all have the internet in our homes and everybody can see the same things, all of the time? We are having a major book clear-out at the moment, as we have far too many for our small house, but this is one book that I will never part with. 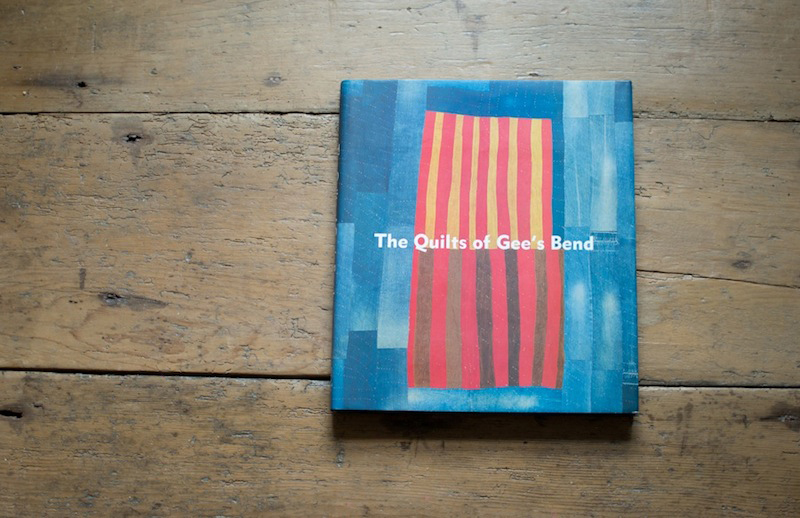 If you are interested in textiles and don't already have The Quilts of Gee's Bend, I thoroughly recommend adding it to your library.